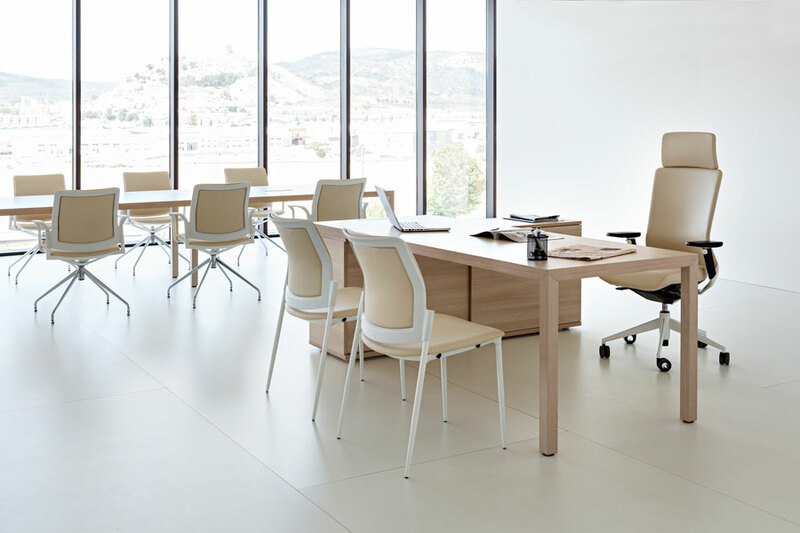 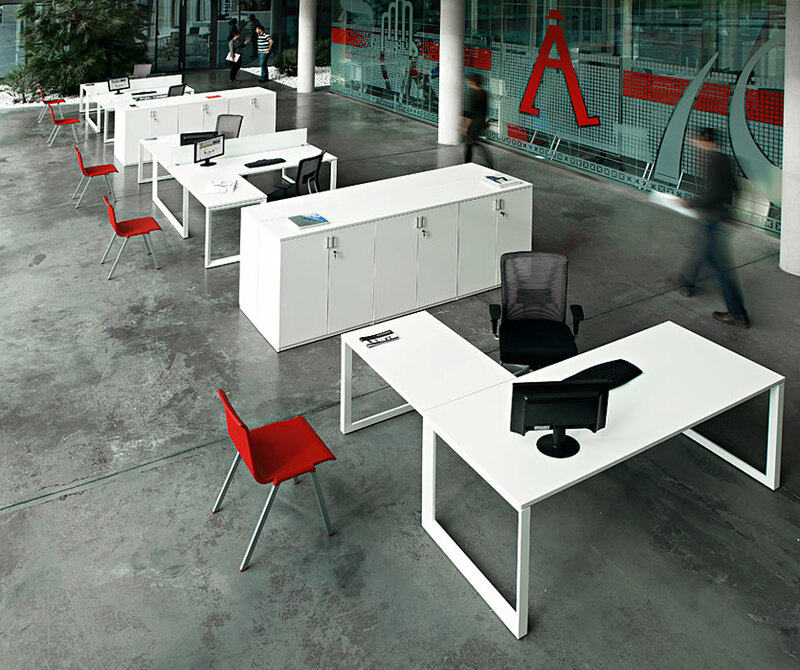 An operative program of desks with a Nordic inspired design, Prisma aims to provide warm and simplistic spaces. 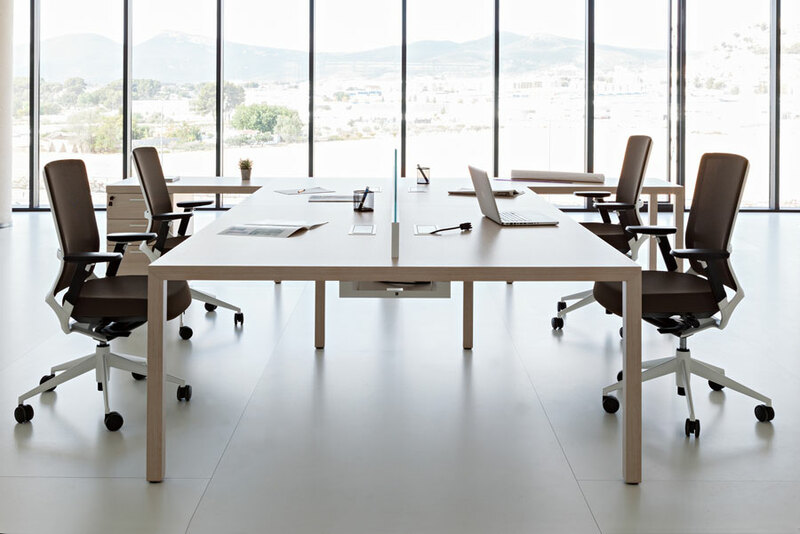 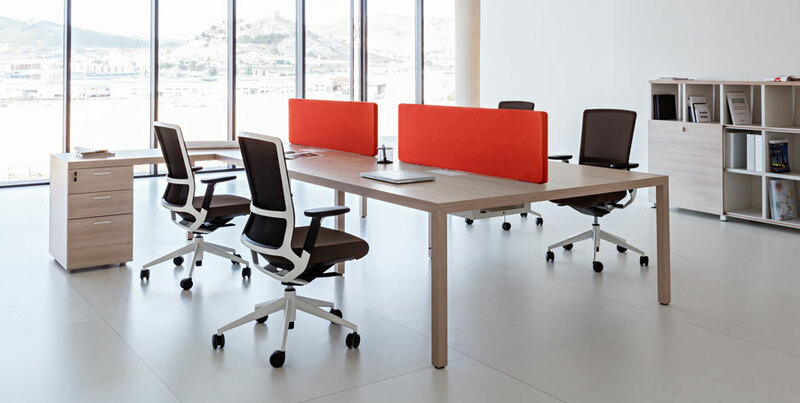 The program has a wide range of workstations and meeting room tables, allowing the same product to fill all spaces and requirements, including executive solutions and desks up to 220cm. 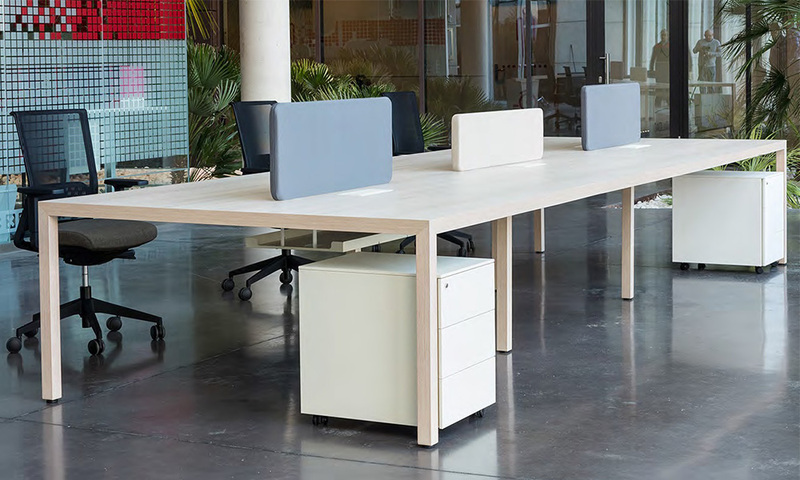 Prisma's clean lines hide the complexity of its structure. 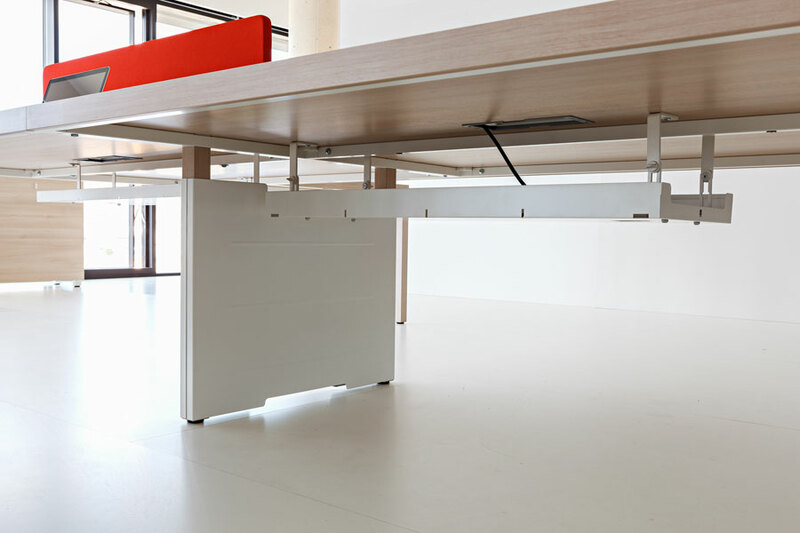 The junction of its legs form a pyramidal shape and create the illusion of one piece. 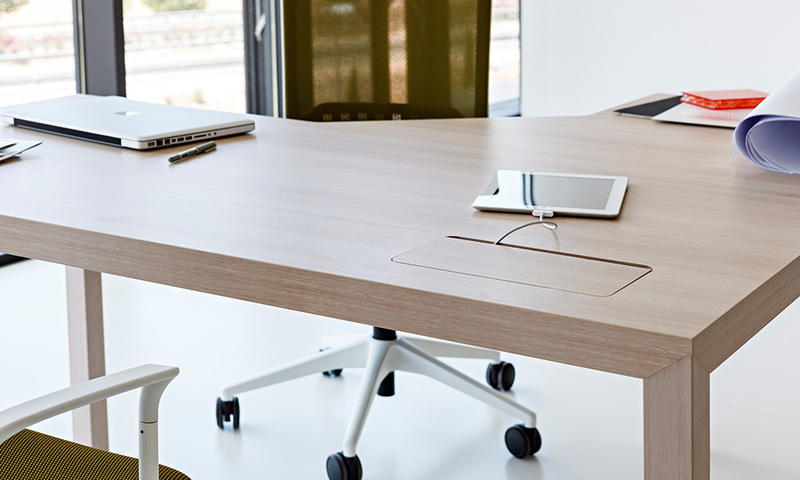 Made of melamine and steel, Prisma is available in a variety of finishes that mimic a wood grain effect. 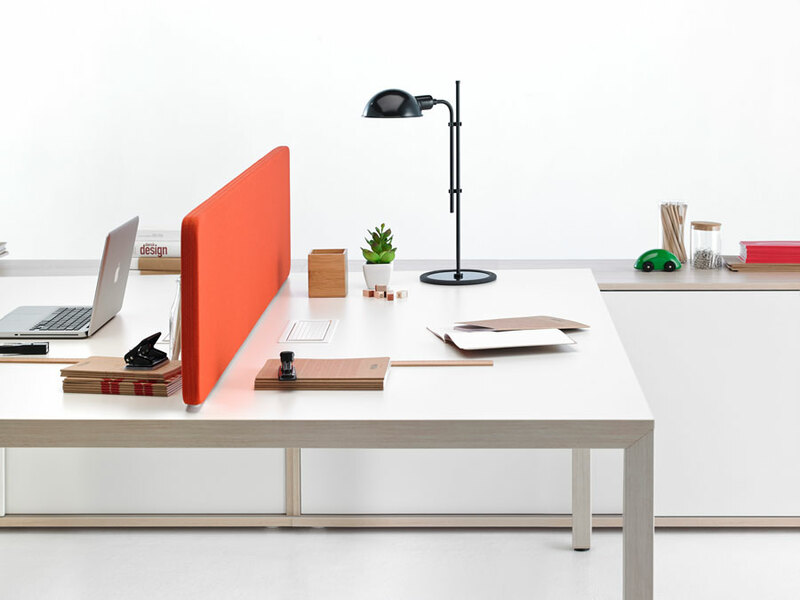 Actiu has designed an exclusive series of accessories and desktop screens that attach to the surface desk.